Just a few weeks after consumers complained that they were getting sunburns using The Honest Company sunscreen, Jessica Alba’s lifestyle brand is being sued over their “deceptively and misleadingly labeled and marketed” products. In a class action lawsuit, Jonathan D. Rubin lays out several claims against Alba’s company. 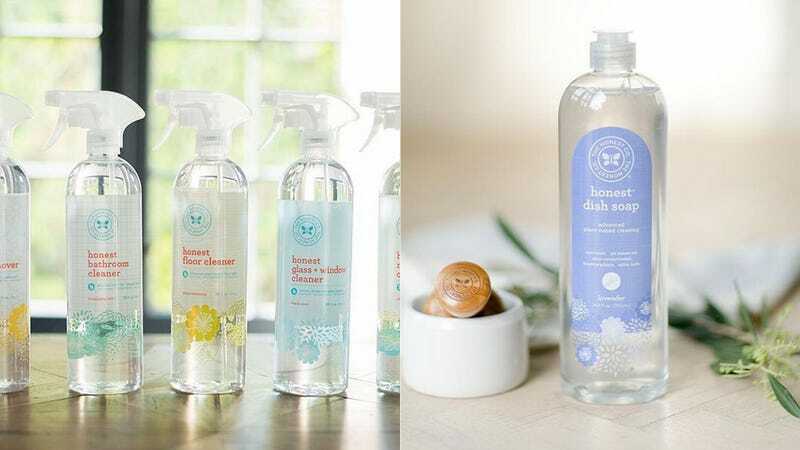 First, that her “natural” Honest Hand Soap, Honest Dish Soap, Honest Diapers and Honest Multi-Surface Cleaner, according to Women’s Wear Daily, actually contain “synthetic chemicals such as Methylisothiazolinone and Phenoxyethanol, both synthetic preservatives, Cocamidopropyl Betaine, a synthetic surfactant, and Sodium Polycrylate, a petrochemical-based additive.” And second, that her aforementioned sunscreen is “ineffective,” a claim Alba and her team refuted when it was originally leveled against them. According to Law360, Rubin started off his complaint with a pithy statement: “Honest isn’t.” The Daily Mail notes that “Rubin is claiming breach of contract, violation of California’s Consumer Legal Remedies Act, False Advertising Law and Unfair Competition Law, along with unjust enrichment.” He wants all profits from the products to be refunded to consumers, for a total of at least $5 million. Though this is not the first tussle The Honest Company (or Alba herself, for that matter) has had with the law, it obviously hasn’t slowed them down. In August, it was reported that Honest is valued at $1.7 billion, and had just raised another round funding, adding $100 million to their coffers. Alba has said that their next move is expanding into beauty products. Neither she nor the company have commented on this new suit.